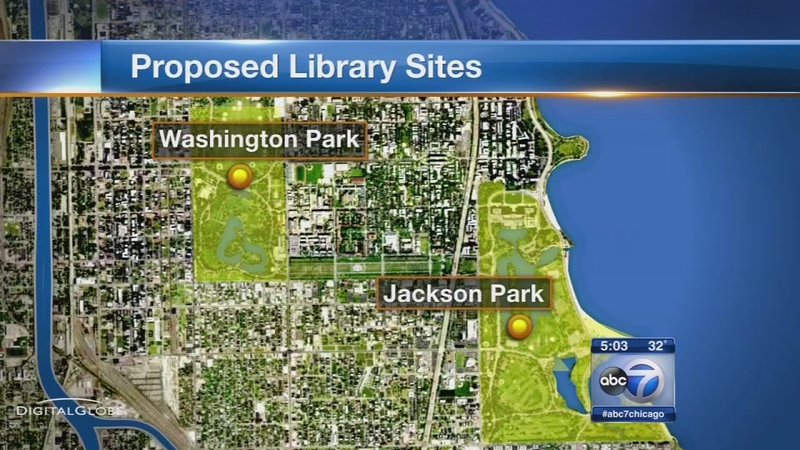 CHICAGO (WLS) -- There is back-and-forth criticism between mayoral candidates regarding the city's efforts to land the Barrack Obama Presidential Library. Mayor Rahm Emanuel's campaign said challenger Jesus "Chuy" Garcia has not supported the University of Chicago plan involving the use of land in Jackson or Washington Park. Candidate Garcia dismissed the criticism at Sunday's Polar Plunge. "My position has been clear," he said. "I have the highest respect for the president. I want the Library in Chicago." The mayor's campaign reacted Sunday evening saying, "(Sunday's) statement from (candidate) Garcia doubles down on his opposition to using park land, continuing to jeopardize community leaders' efforts to bring the library home."